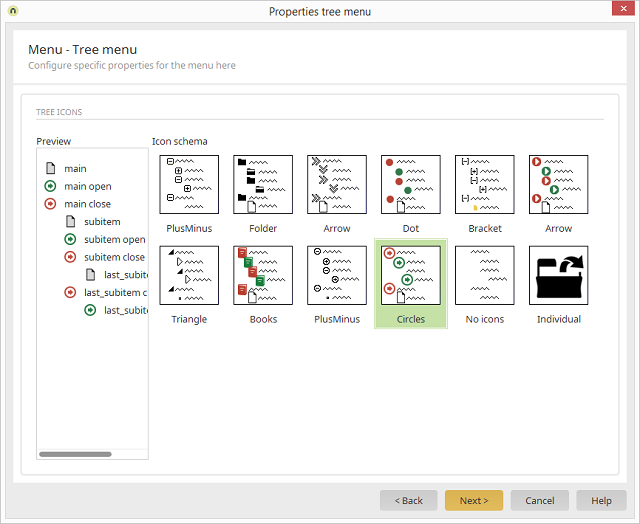 You can see a preview of the currently selected icon schema. Here you can select the icons that will be shown to the left of each menu item. Images will not be used with this setting. Icons can be assigned later in the Element settings - Options.